Whether you are a regular to the centre of Manchester or a visitor to this beautiful city, if you’re into buying records, it’s a fantastic place to be. In this article I’ll be giving a brief overview of my favourite places to record shop in Manchester, some independent and some commercial but all worth your time. Vinyl Exchange is a great little spot in Manchester’s Northern Quarter with a huge selection of new and second hand records. It’s walls are plastered with memorabilia from the Manchester music scene, and an impressive amount of it signed. You can also pick up merchandise from Vinyl Exchange from bands such as The Smiths and The Stone Roses, legends in Manchester and worldwide. I’ve had a few great finds in here and everything is very reasonably priced for the condition and rarity. Their indie section is definitely worth a flick through, I’ve picked up a few gems in there! 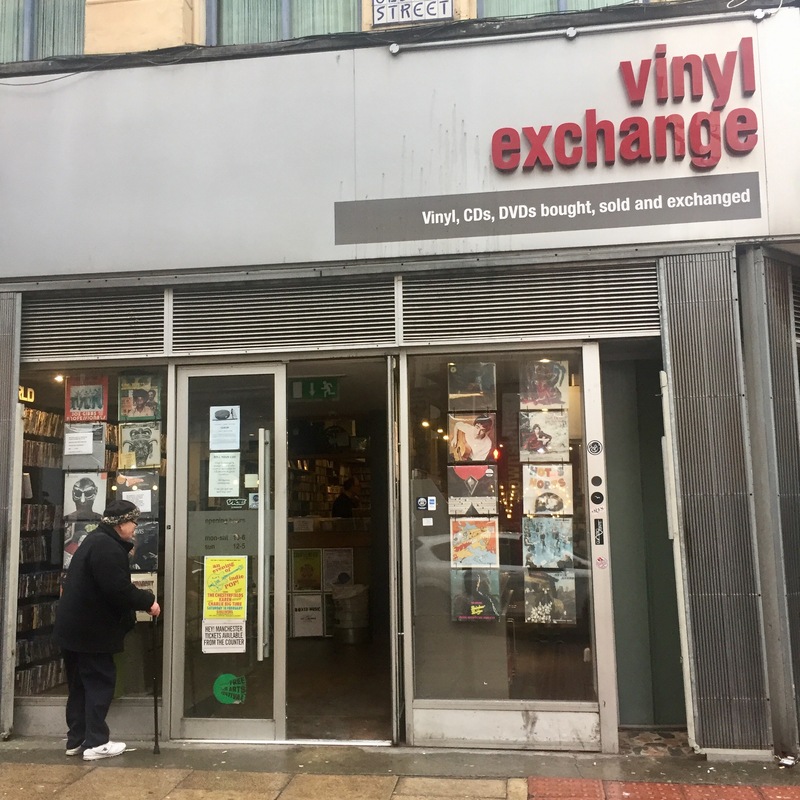 With quite a similar vibe to Vinyl Exchange, Vinyl Revival is a two floored shop again in the thick of Manchester’s Northern Quarter. Dealing mainly in used vinyl they have stock of almost every genre you could imagine. The shop is packed with racks and underneath crates full of bargain finds if you have the time to have a good dig. They also have a vast selection of 7″s with some very rare stuff, on my last visit they had an early Brand New 7″ which you, if you’re a fan of, know how hard it is to grab their stuff. They have a great electronic and experimental section which is great if you’re after that one record you might not find in the more mainstream stores. 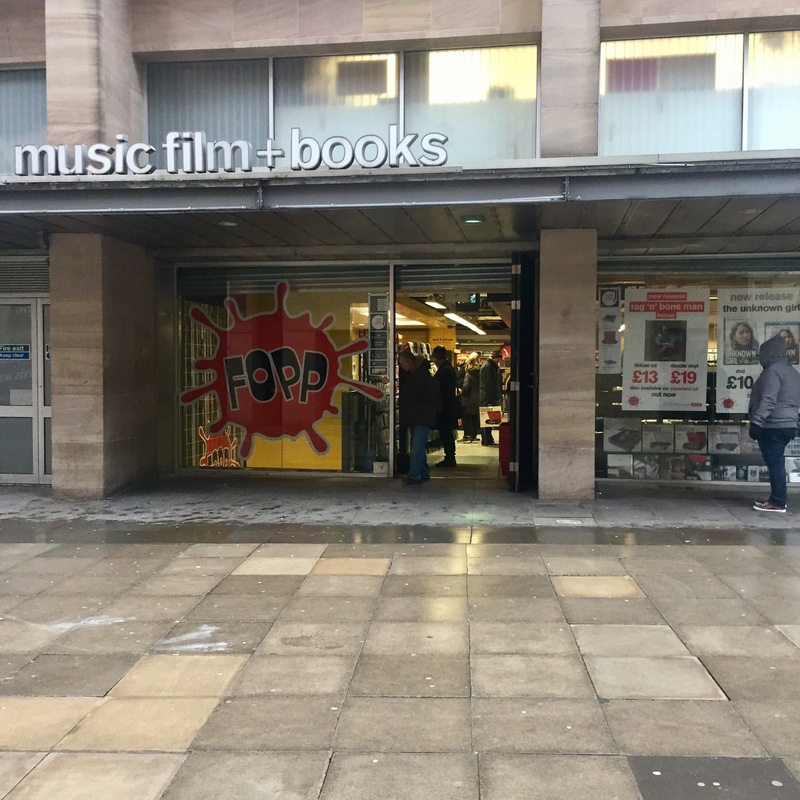 Fopp is the sister company to the humongous HMV. I have opted to include Fopp in this list over HMV (which Manchester also has a huge one) solely based on pricing. Fopp is just off Manchester’s busting Market Street and deals solely in new records. Although this is the most commercial store on the list, and I am completely in favour of supporting independent stores over chains, don’t write it off. Bizarrely you can buy records in Fopp that for the same album is more expensive in HMV. Although they mainly stock indie music and things you’d expect to see in a commercial store, they have a great hip hop and electronic section which you can find releases from Warp records and Hyperdub. 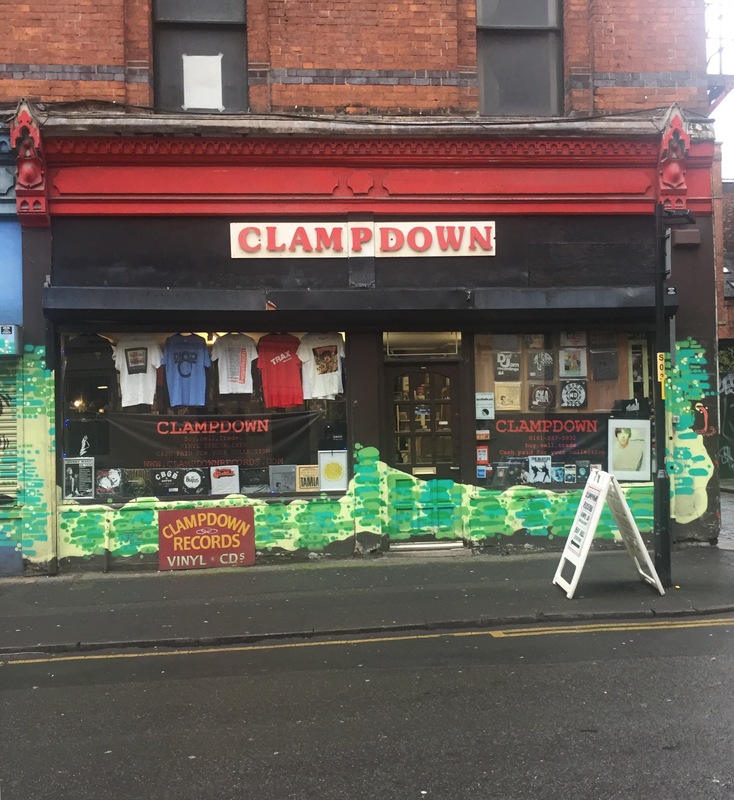 Tucked up on a side street towards Manchester’s Piccadilly station you will find Clampdown Records. Another great independent record store with a hugely varied selection. The back wall in the store is plastered with signed records (available to buy) from some really big names in the music industry. Again you can find most genres you desire in Clampdown Records and it has a real authentic record store feel. Dealing in both new and used records there is some pretty rare stuff in here. It’s a smallish store but if you time it right it’s usually pretty quiet and you’ll have free reign of the racks, everything split into genre for convenience. 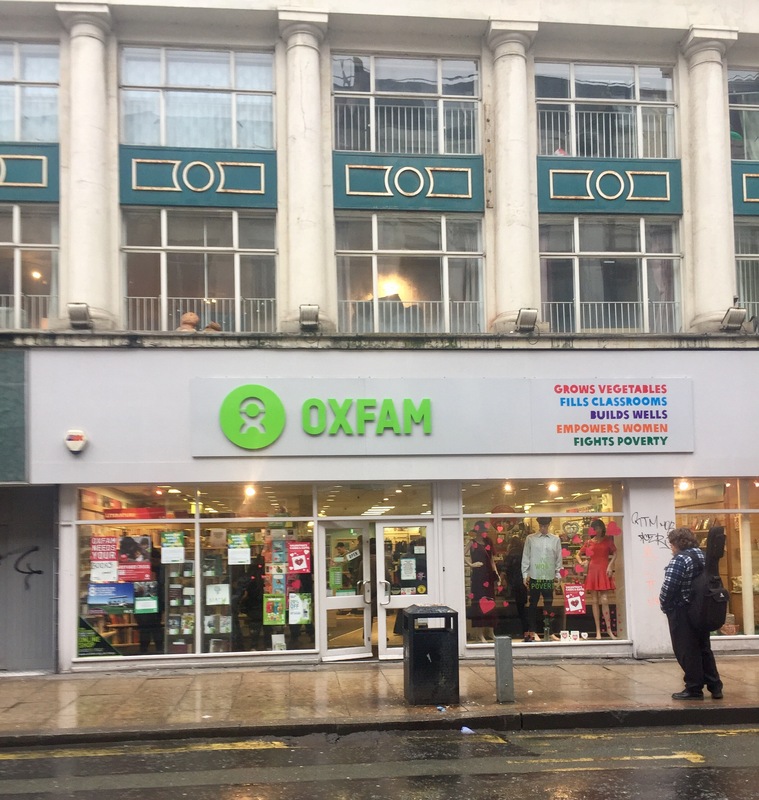 You don’t have to go far to find a charity shop in the centre of Manchester, and like anywhere they can be full of hidden gems. If you have the time to sift through seemingly endless copies of ‘Bridge Over Troubled Water’ (A great album but once you’ve bought it you’re sick of seeing it) it really can pay off. Most of the time, albums will be used and sometimes in pretty bad condition but you might get lucky! Everything is always extremely reasonably priced, usually due to people not knowing what their collection is worth. These are the people you’ll be praising when you’re leaving with a £20 record for £3. Probably the gem of record shopping in Manchester, Piccadilly Records puts the Manchester vinyl scene on the map. Again based in the middle of Manchester’s Northern Quarter and often counted in top record shops worldwide. When you’ve visited you’ll understand why. I’ve never been in when it’s not busy, but the store is a really decent size and there is plenty of stock for everyone to be flicking through. Everything in Piccadilly is new and still very reasonably priced, usually undercutting the likes of HMV by a few pound which is even more of an incentive to shop independent! 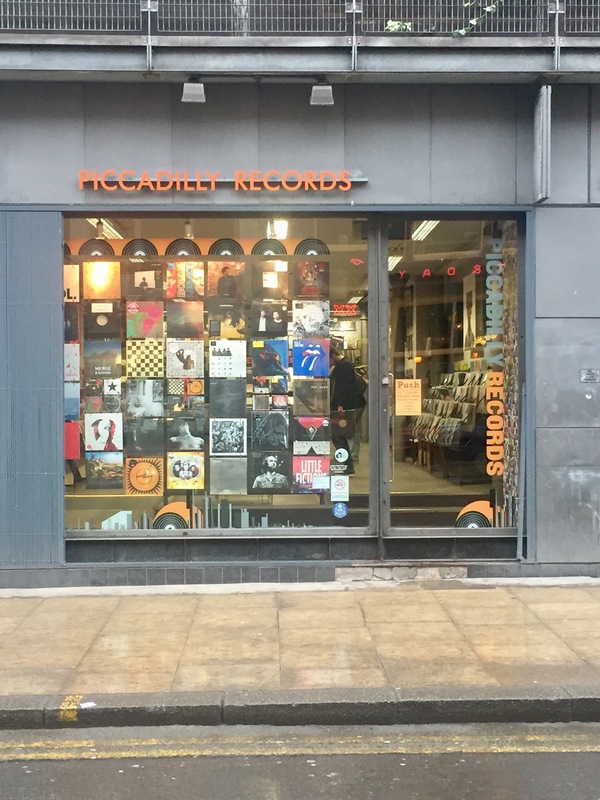 If you only have time to squeeze one record shop in to your trip to Manchester, I’d make it Piccadilly Records. What are your favourite spots to record shop? Get in touch and let me know!